My son Nathan and I had the hunt of a lifetime! Had to really work hard and didn’t see anything worth shooting until the 24th. Then it all happened in an instant. We bagged a 44” bull that weighed 690 pounds fully dressed. Not the biggest but our very first! It was both exhausting and exhilarating. We plan on doing it again next year! Thanks a ton to Jon Gilmain and Jason Parent from NH Guide Services for their outstanding effort. I had a great hunt and many thanks to NH Guide Services. 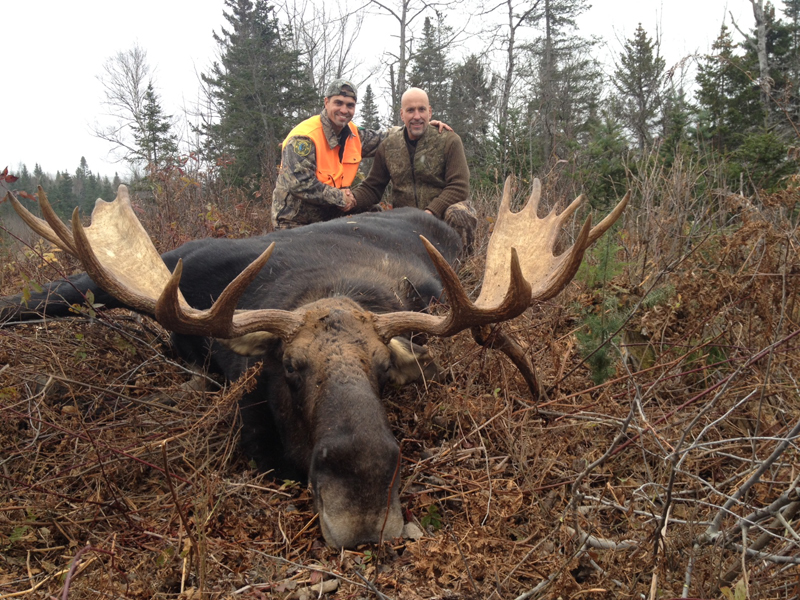 Thanks to the Wildlife Heritage Foundation of NH for the opportunity to hunt moose in NH – this was a great hunt! Also thanks to Kris Rimes (NH Fish and Game) for her expertise and Jason Parent with NH Guide Services for a great job in location quality bulls. Top notch! 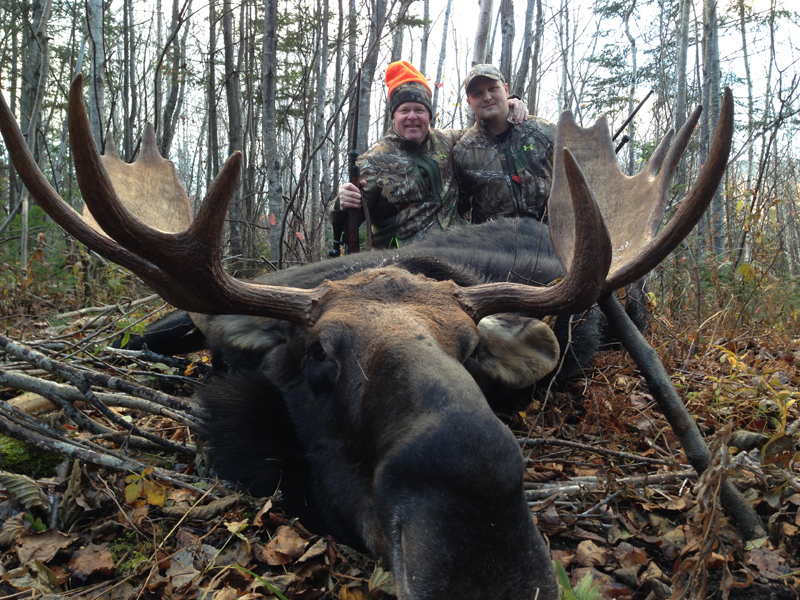 I took this moose on day 3 of the hunt, assisted by my friend and sub-permitee Wayne Tuttle. 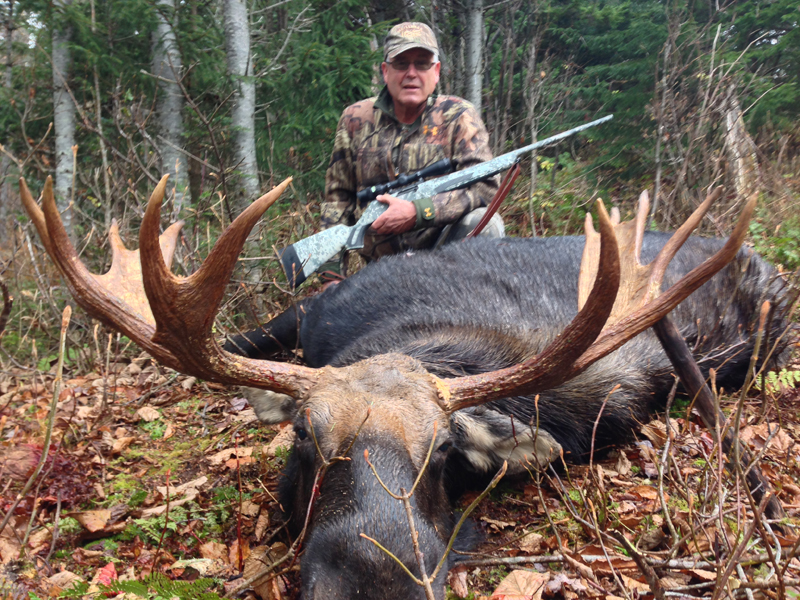 Mike spotted the moose at 385 yards, late in the afternoon, and was able to stock through a clear cut to within 200 yards before placing the shot. 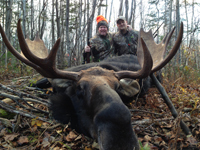 The moose weighted in at 680 pounds and a 51” antler spread. Great hunt!